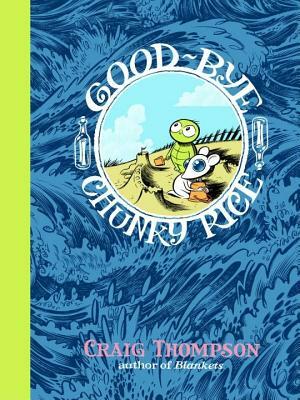 Craig Thompson was made in Michigan in 1975, but risen up in Wisconsin and he drawed this very here book after departin’ for Portland, Oregon, in 1997 and missing likewise his chums and girl-buddies. He’s mostest beknown for his best–sold graphical novel book Blankets — to be winning also three Harvey Awards and two Ignatz Awards. Translationized into thirteen — count ‘em — languages, lands like Morocco and Switzerland and Phoenix, but he’s plopped hisself settled-like in Portland. For the being-time.